We are here to announce the exciting news - this project has been fully fulfilled and everyone who finished their order has had their board shipped. The last batch of all Maestro packages was sent last Friday and this campaign has officially come to a close. If you missed out on this FitForLaunch campaign, but would like to get the Duet 2 Maestro control board co-developed by Duet3D and M3D, it can be purchased directly from M3D (the official US reseller). Availability from other Duet3D resellers may vary. Thank you again for your support & happy holidays! Thank you for supporting the partnership between Duet3D and M3D with your purchase of the Duet 2 Maestro control board. Our goal was to make an affordable controller that would turn your 3D printer into a quiet, fast, and very capable machine, so we took the time to make sure that everything is well checked so we provide all backers with the highest quality product. As you may remember from previous updates, we were collecting feedback from early beta testers so we could work out any difficulties before sending the board to the masses. We can now confidently say that this process has been wrapped up and gold-plated Maestro boards are in stock and ready for backer deliveries! Duet 2 Maestro Breakout Board: Extruder expansion board for your Maestro that adds two additional Trinamic TMC2224 motor drivers, providing up to 1.6 A current per motor, and 256 microstepping to the Duet 2 Maestro board. The QuadFusion Print Head: M3D’s four-filament mixing extruder to turn your 3D printer into a multi-color (over 50,000 color options) and multi-material machine! Compatible with different 3D printers including (but not limited to) the M3D Promega, M3D Crane, Creality CR-10, Makerbot Replicator 2, Prusa i3, and other 3D printers. Power Supply System: The same high-reliability, 120V power system that M3D's Promega and Crane 3D printers use. And more! This is a unique opportunity to add popular accessories to your Maestro package and combine shipping, so we strongly recommend taking advantage of add-ons and special deals offered to you. Please keep in mind that your backer checkout on FitForLaunch will be locked as soon as your order ships and you will have to pay shipping separately to purchase accessories at a later date. Once your order is completed, you can expect to receive a tracking number in a separate email within 1 week or according to the ETA of your chosen add-ons. M3D expects to ship most (if not all) Maestro boards this month. When your Maestro arrives, we encourage everyone to inspect the shipment and test all boards as soon as possible. In the rare possibility that you run into difficulties with your board, this needs to be reported to M3D within 7 days from delivery at DuetMaestro@printm3d.com. Just a friendly reminder that Duet control boards are intended for experienced users and individuals that will take all appropriate precautions to make sure that everything is wired correctly and connected devices are compatible based on Duet documentation. M3D will not be responsible for damage that is determined to be caused by the user. Thank you everyone for your support, and happy printing! Thank you to those who submitted requests to participate in Maestro beta testing! M3D is processing all submissions and you should be receiving an invite to confirm your shipping details on FitForLaunch soon. New orders are still being accepted for the fastest possible delivery to those willing to participate in testing of early Maestro units. If you would like to become a beta tester and receive your order two months ahead of schedule, please send your FitForLaunch order number to DuetMaestro@printm3d.com. We ask beta testers to have previous experience with 3D printing and control boards to be able to provide sufficient feedback on the Duet 2 Maestro before it gets released to the public. 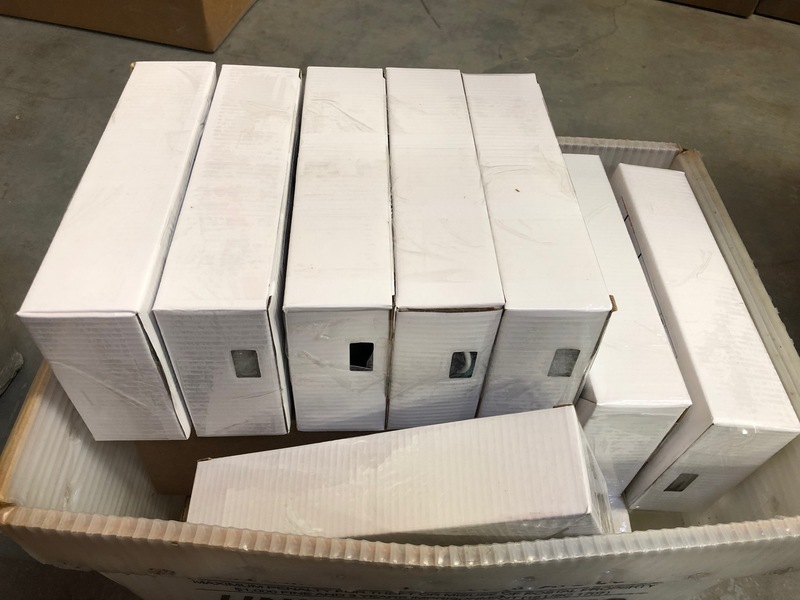 As we test and prepare to deliver the first boards to FitForLaunch customers, Duet3D is also working with M3D to source the add-ons for Maestro’s retail package (connectors, stickers, box,packing foam) to meet both teams’ high quality standards. At the current rate of production and testing, we expect the first production batch to be ahead of schedule by a month, with deliveries starting to arrive to your doorsteps in as little as two months. We’ll keep you updated! Before the start of this FitForLaunch campaign, we at Duet3D put a lot of effort into developing a product offering the same protections and robustness as previous releases, but at a more affordable price than our other boards. We are proud to have created the Maestro in collaboration with our American partner, M3D, and believe that we chose the perfect controller to expand the ecosystem and developmental capacity for the open source community across the globe. We dedicate the Maestro to those enthusiasts who are always exploring ways to improve their 3D printing experience. For our tech fans asking for comparison of Duet 2 boards, we have posted a detailed comparison to https://fitforlaunch.com/projects/duet-2-maestro and will include a copy below, so please be sure to take a look. With Duet 2 Maestro, you will opt in for a better, quieter system powered by StealthChop2™ drivers with microPlyer™ technology. It will allow to achieve up to 16 times better microstepping resolution without additional demand on the controller’s microprocessor, alongside other benefits, leading to improved print quality at the lowest prices. Remember to pre-order this industry-dominating board NOW to get the best deal. 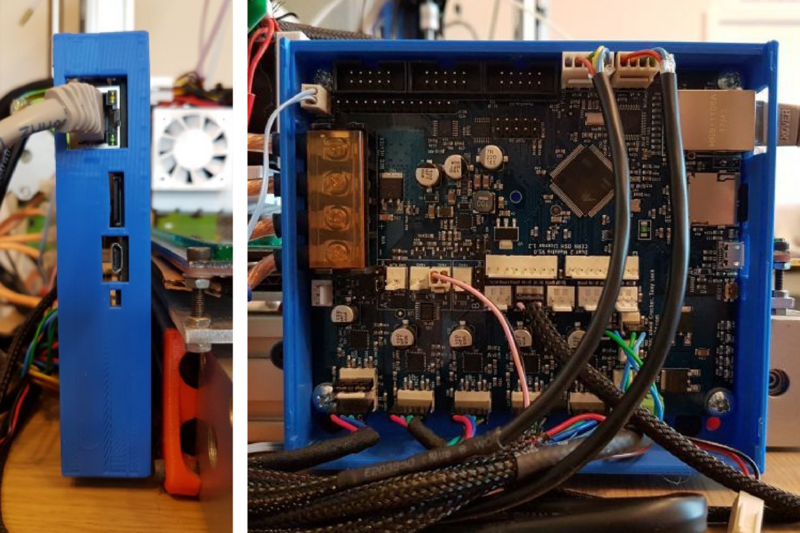 Delta, Cartesian and CoreXY 3D printers: We don't expect any issues because the firmware shares source code with the other Duet 2 boards such as WiFi and Ethernet. 3D printers that have already passed the tests include the M3D Promega and Crane 3D printers, Makerbot Replicator 2X, Delta. LCD/Encoder interface: No menu system exists in firmware today, but the LCD hardware has been tested and confirmed working with the Maestro. PanelDue interface: Has been tested and confirmed working. Thermistor and PT1000: Both options have been tested and confirmed working. CPU temperature reporting: Has been tested and confirmed working. Bed and power conversion section thermal testing: Tests are underway to determine the maximum safe heated bed current and, separately, 5V system draw, based on thermal considerations. Motors: We’ve run motors on both 12V and 24V input power. Drivers: We ran tests on the stepper drivers to see what the maximum stepper motor currents we can use before the drivers start to report temperature warnings, both with and without fan cooling. The drivers didn't reach the shutdown temperature in any of the tests and we can state that these components have been tested and confirmed working. We will likely repeat these tests with passive cooling (small heat sinks) installed on top of the drivers. IR sensors: Have been tested and confirmed working. Breakout boards and M3D’s new extruder expansion board: Testing underway. Ethernet: Has been tested and confirmed working. USB: Has been tested and confirmed working. SD card support: Has been tested and confirmed working. Firmware: Currently we have two series of firmware, the 1.21 stable release (which will shortly get a 1.21.1 maintenance release) and the 2.0 beta series. For the Maestro we would like to support only the 2.0 series to ensure that Maestro users will only have the latest and greatest! We are looking for seasoned 3D printing users with previous hands-on 3D printing experience to give us constructive feedback, privately or publicly. If you are a professional reviewer, please have previous videos available publicly so we could evaluate the quality and consistency of your content in order to be considered. Due to the limited number of available boards, we will only reach out to applicants who meet our requirements. FitForLaunch customers are welcome to participate in beta testing and will be given priority with the earliest possible delivery dates as a thank you for their contribution to the community! If you would like to become a beta tester and receive your order by the end of May (2 months ahead of schedule! ), please send your FitForLaunch order number to DuetMaestro@printm3d.com. Thank you for supporting Duet3D and the open source community with your purchase!